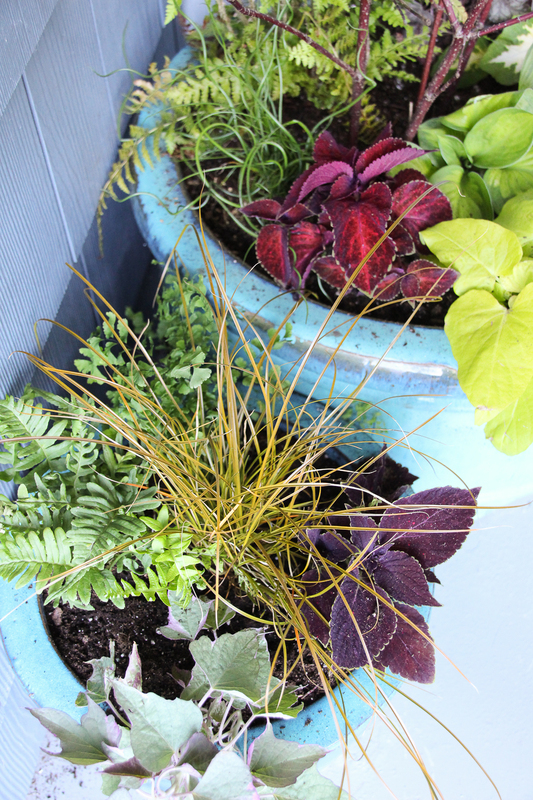 Today I’m sharing a DIY summer planter for shade. 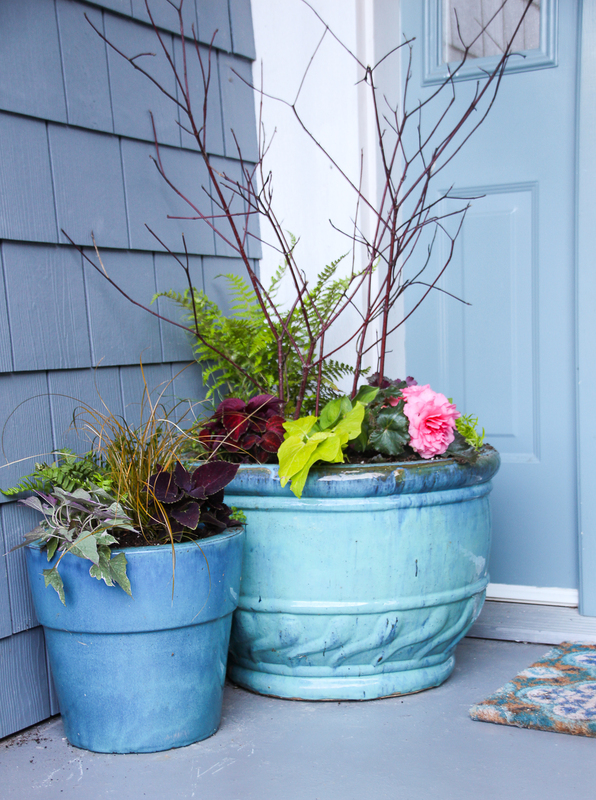 I know you’ll love these beautiful summer pots for the shady spots on your deck or porch. You guys! 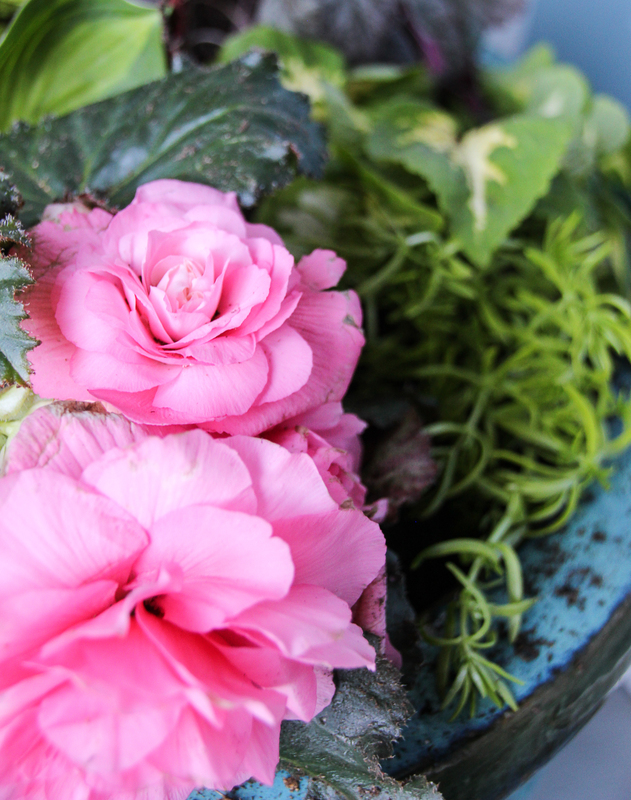 I’m so excited to be sharing my first SUMMER project of the season! It may be early May (no pun intended), but summer is just around the corner. I can feel it. The sunshine. The smell of fresh cut grass. The warm spring breezes. This weekend is supposed to be 26-29 degrees! That is 78-84 F ! Last weekend at the soccer tournament it was over 23 and it felt like July. Woot woot! Anyone else feel like summer is a license to enjoy yourself again after a busy, hard working winter? I’m so glad the my friend Shauna, from Satori Design for Living, invited me to join in on the Outdoor Extravaganza again this year. I’ve been part of this series for the last three years at least, and I love how it pushes me to get an early start on our yard and outdoor projects. 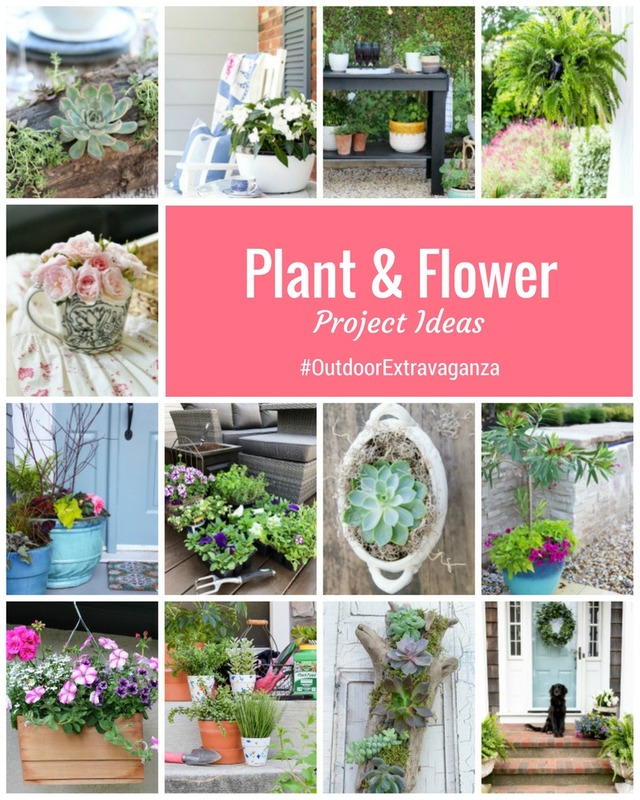 Some seriously talented bloggers are also sharing their outdoor ideas today (all around the topic of plants and flowers). You can see the links to their posts at the end of this DIY. 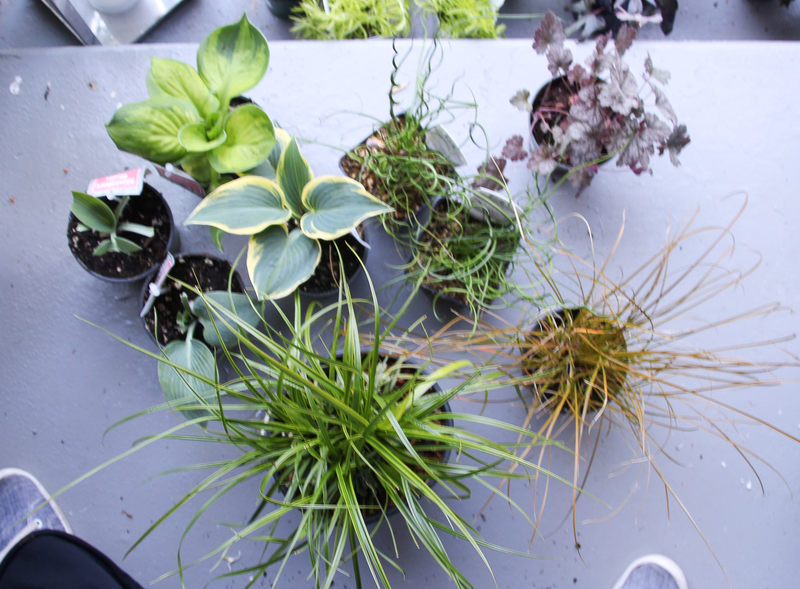 I may or may not have caused my spring pots to come to an earlier then expected end due to a lack of consistent watering (insert face covered emoji). 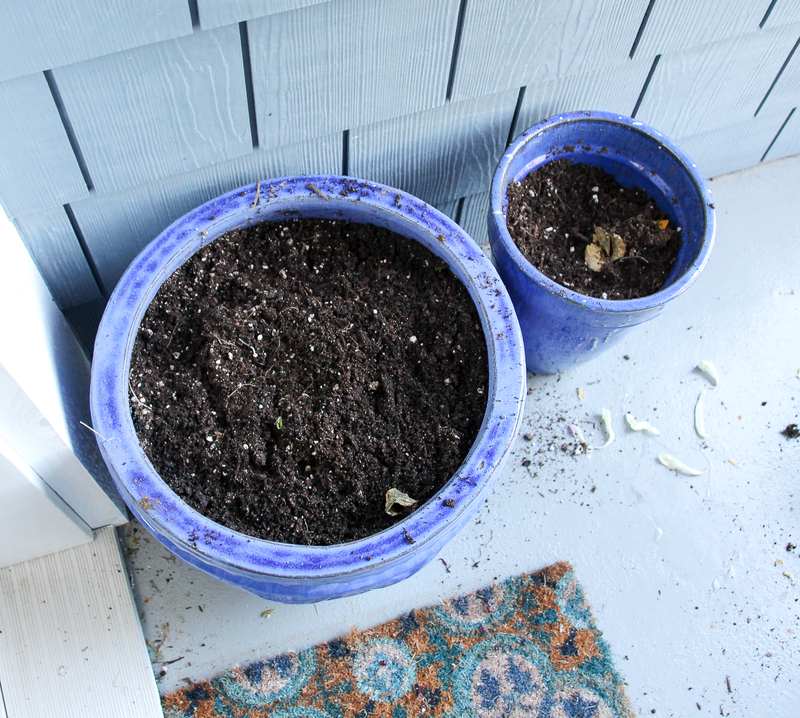 But I pledge to do better with these summer planters. Right?!? I also found some super adorable mini Hostas (at least, they were really cute until the bunnies in our neighbourhood decimated their leaves overnight!). 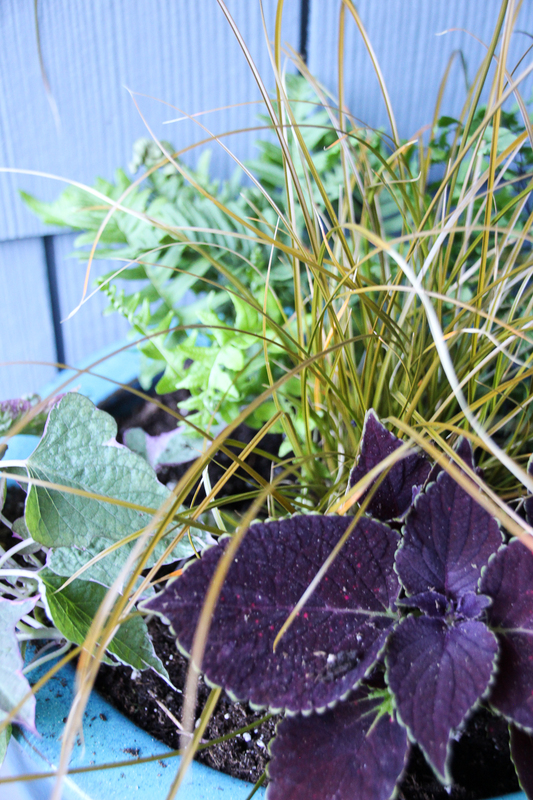 I also added in some twirly sedge, a couple of grasses that do fine in part shade, and some Heuchera. To this perennial mix, I added some annuals. 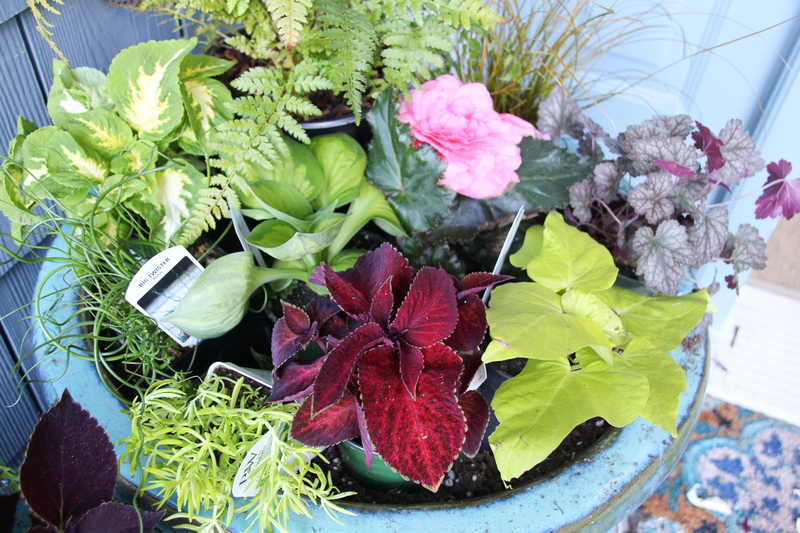 I chose three types of Coleus, four types of Impomea, two tuberous begonias, and some trailing lemon coral sedum (that claim to do well in part shade -we’ll see!). I always start my pots by first placing the plants (in their containers) in place and mixing them around until I get a mix and effect that I like. This is a trial and error kind of thing – mix them around until you like it. 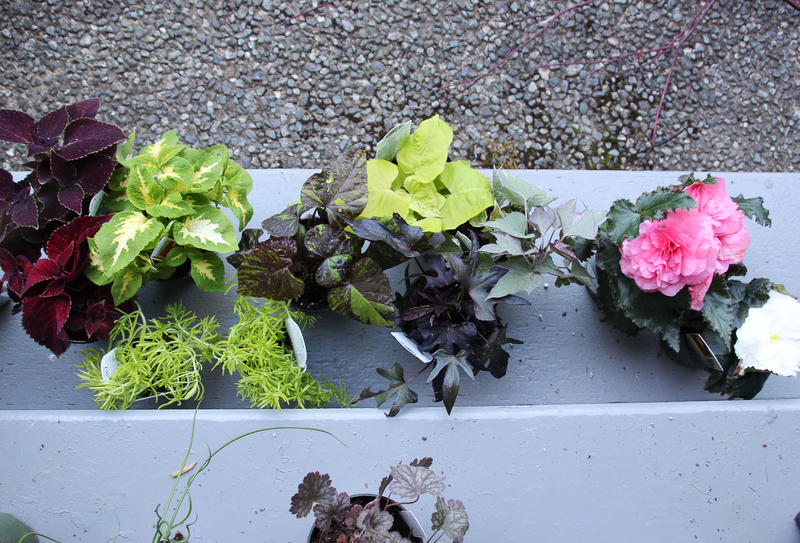 I try to mix the colours and leaf shape so there is contrast from one plant to the next. Once I come up with an arrangement I like, I go for it and start planting. 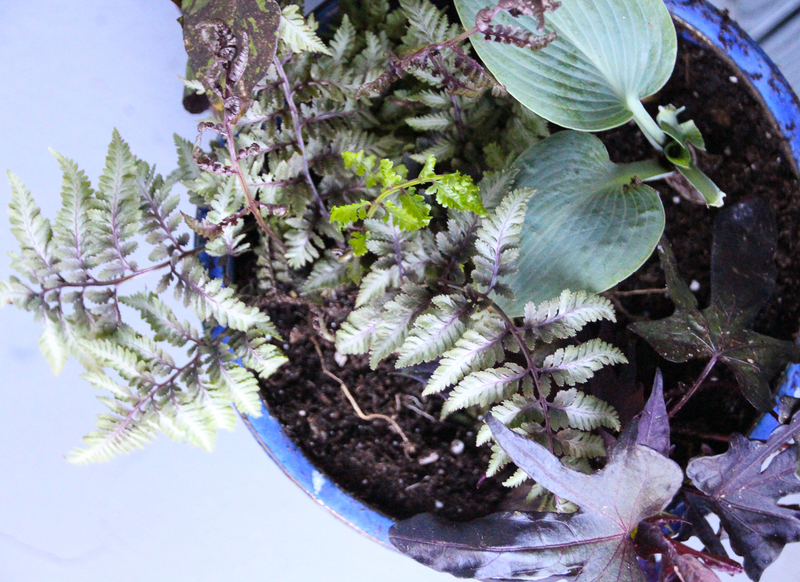 I place things in loosely at first so I can move them around slightly within the pot as I place the other plants. 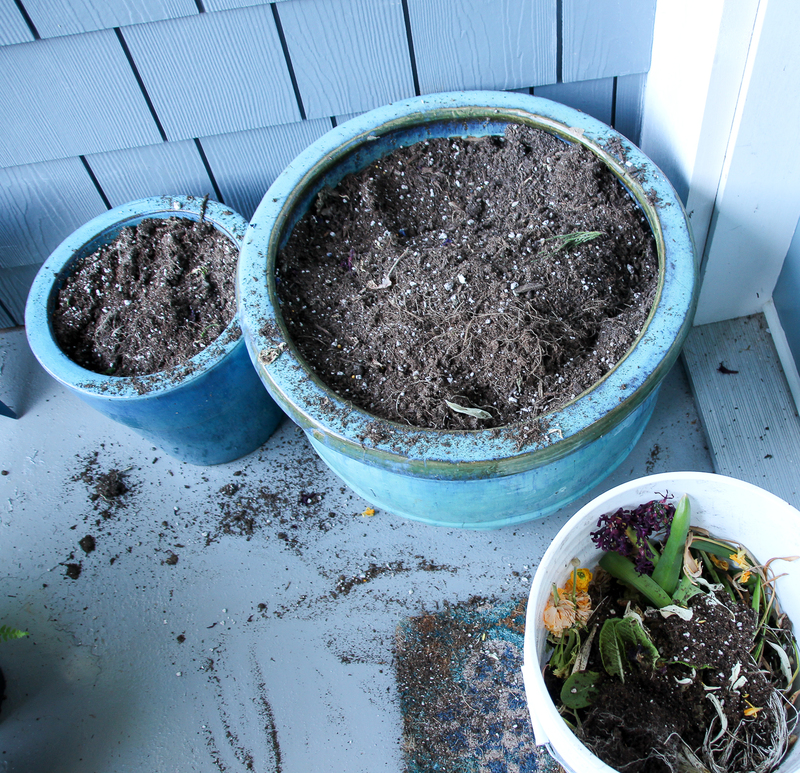 Once I’m sure I pack in any extra soil needed and press down in the pot to secure. Lastly, I added some branches to give height to my largest planter. I can’t wait to see these grow in throughout the season! 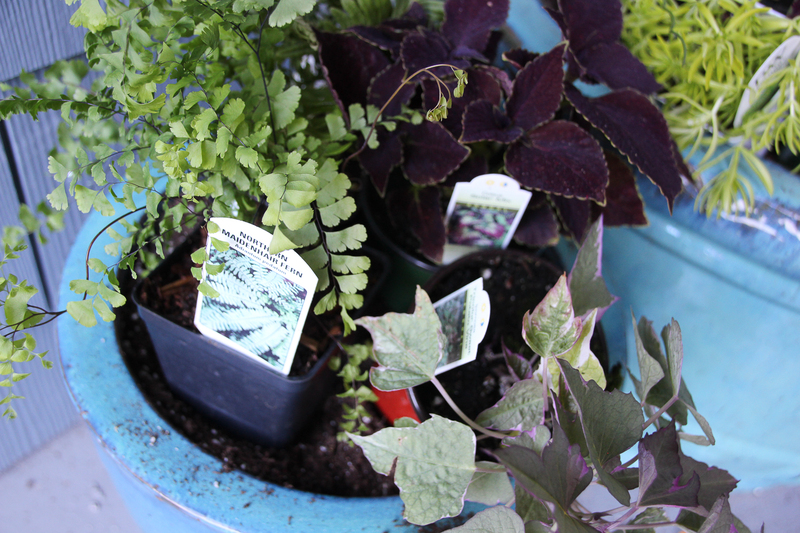 Plus, the perennials can be transplanted to larger pots or the shady gardens in our yard after a season on our porch. They’ll keep going and going! Glad to check that one of the list. 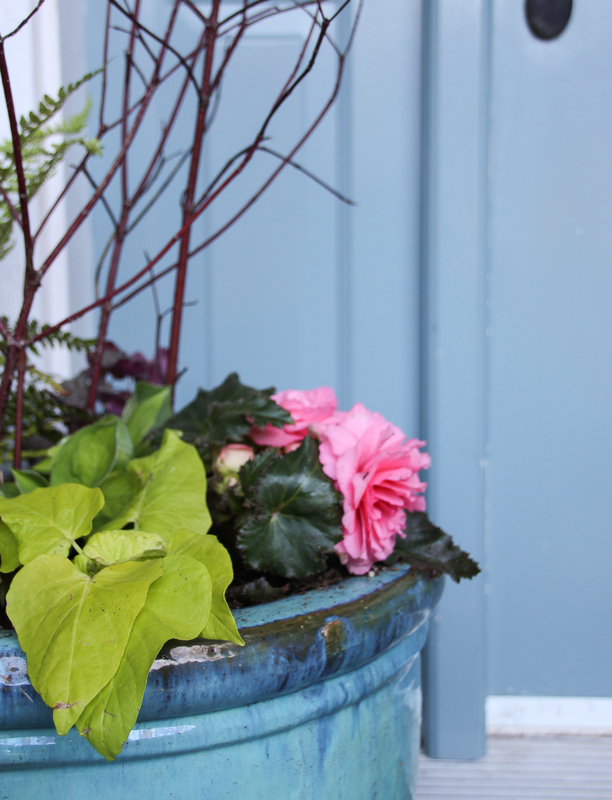 Now… onto the sunny pots this weekend! Can’t wait to have the weather for that task:) Wishing you sunny days wherever you are, as well. So much gorgeous inspiration. I truly can’t wait for summer. How about you? 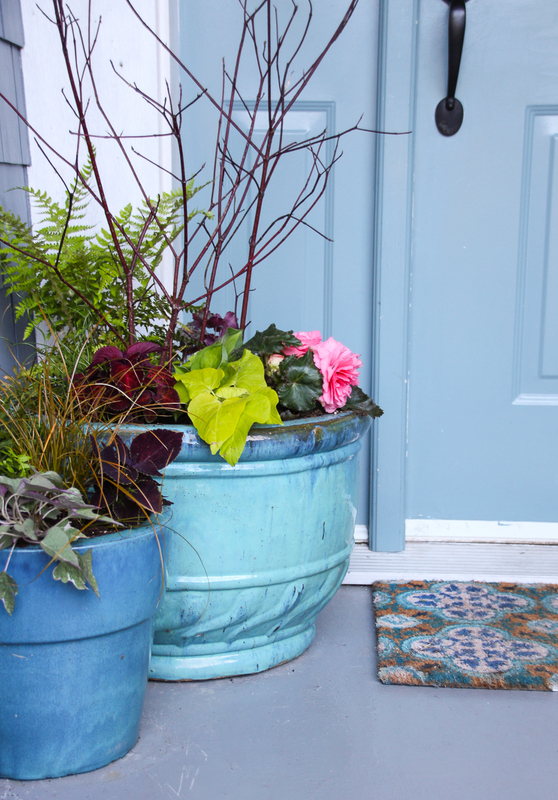 Your planters look beautiful! I’m just now starting to plant for summer and always looking for ideas! 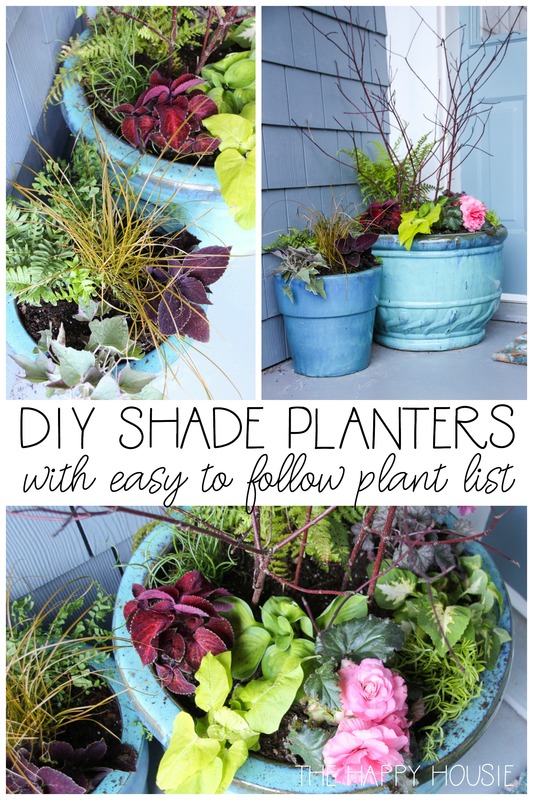 Thanks for linking up with Merry Monday; I’ll be featuring your planters at our upcoming party. Hope to see you again next week! Oh my goodness, this comes at such a great time. We have the worst lighting in our yard right now. Thanks for the ideas!!! 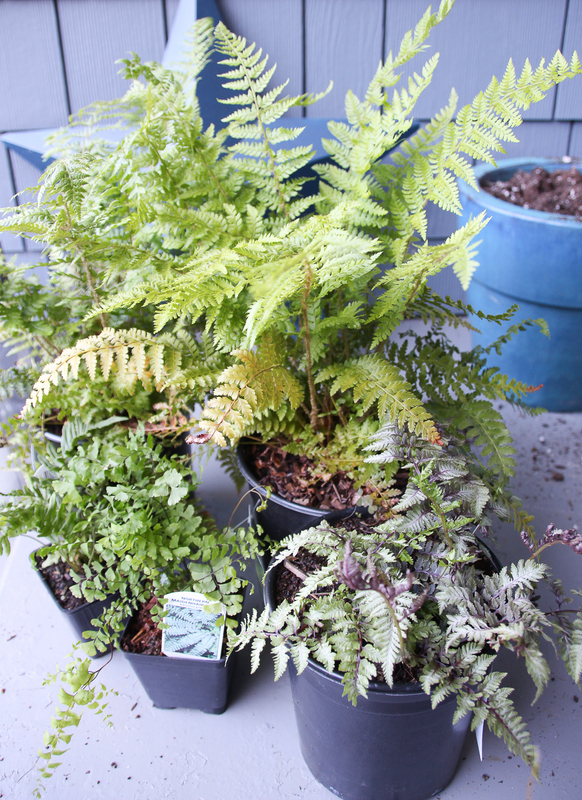 I love the ferns in pots, but what do you do with them come Fall when they should be in ground for winter? Thanks for the plant ideas! We have a couple of planters in total shade and I was wondering what I should plant. Love the ferns especially. I agree. I didn’t get to plant for spring this year the weather has been so bad. 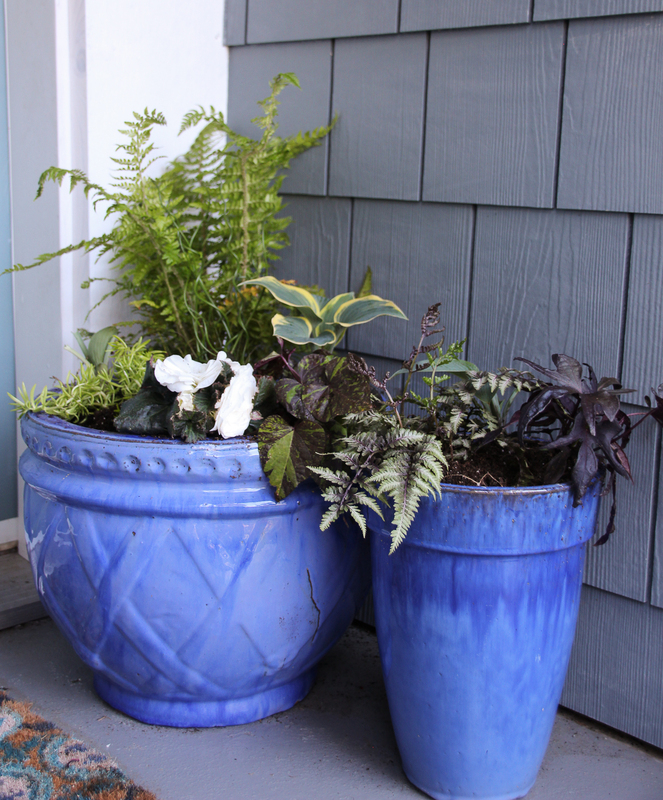 These are such great ideas for planters. Love how you included a full plant list. So lovely. I didn’t even get around to doing early spring planters, so you’re ahead of the game there despite the lack of watering. Our front porch is hot and sunny, but these ideas are great for my back deck which is quite shaded. Love your colour combinations! I’m soooooo happy summer is almost here…we’re supposed to have a hot weekend too! Woot!! 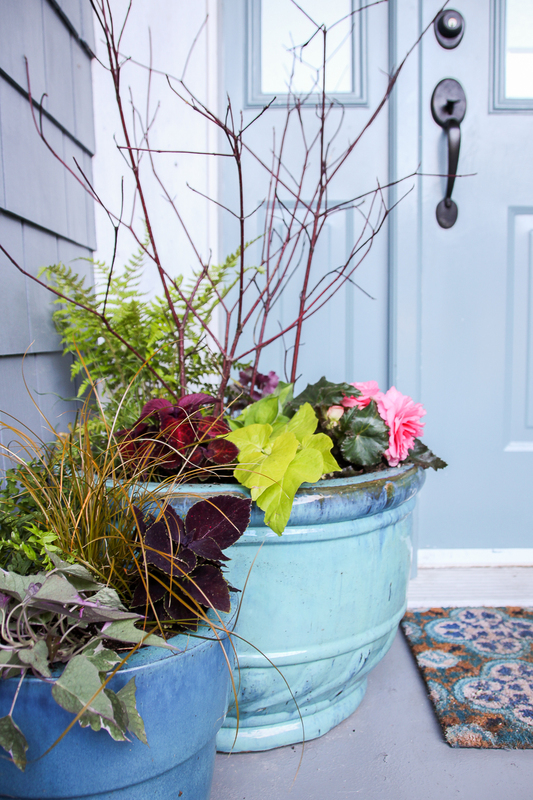 I love your shade planters Krista…my front porch is almost entirely in the shade, so these ideas are perfect!